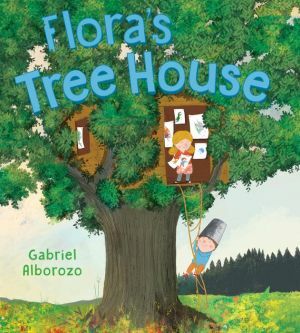 With playful text and vibrant art, Flora’s Tree House is a unique picture book about imagination for all children learning to appreciate a sibling’s strengths, as well as their own. Siblings Flora and Will couldn’t be more different. Flora brings epic fantasies to life in drawings and paintings, which she then hangs in her tree house. Will’s adventures live in his mind as he leaps from trees and swings twigs like they're swords. Will has never been in Flora's tree house, but one day, his curiosity gets the better of him―what exactly is his sister doing up in there? In one joyful afternoon, Flora and Will’s imaginations collide, and sister and brother discover that playing together is always more fun.